Thread: Algae Filtration, or Algae Cultivation? The process of growing algae looks completely different depending on what occupation you are in. If you are trying to filter water, or make an aquarium look "cleaner", then you view the process of purposely growing algae as a way to absorb nutrients out of the water so as to make the water more hospitable to the animals. However if you are hungry and want a sea vegetable salad, then you view the process of purposely growing algae as a type of gardening. And of course if you are in aquaponics, then you look at it from both sides. The Far East is well aware of the great salads that algae make; the West, not so much yet. However the East and the West are about equal when it come to growing algae for the purpose of filtering water. For energy production, the West seems to be ahead of the East. At least in micro algae. 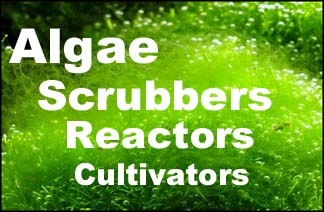 Systems still need to be put in place to cultivate large amounts of macro algae (seaweed), however. Would like to hear opinions on cultivation vs. filtering.